Tires are one of the most important parts of your truck. Sometimes, it’s easy to overlook tires among the many priorities of your job on the road. Tires are one of the most important parts of your truck. If something goes wrong with them, it can literally stop you in your tracks. 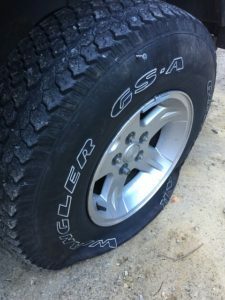 But it can be tricky to know how to take care of your tires outside of keeping them inflated and watching out for flats. 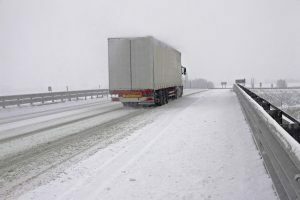 If you are on the road in your truck before the winter season loses its steam, there are many steps you can take to stay safe in inclement weather. Winter is still hitting us with plenty of surprises. 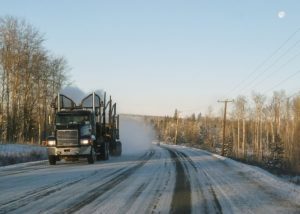 If you are on the road in your truck before the season loses its steam, there are many steps you can take to stay safe. While much of the chance for snow has passed (and we’ve written about snow storms in our previous posts) the threat of freezing rain and that wintery mix remains. Highway driving takes up the majority of a trucking route. It is important to take these safety precautions. Most of your time behind the wheel of a truck will be spent on long highway drives. These three tips are designed to help you avoid accidents and common highway hazards. 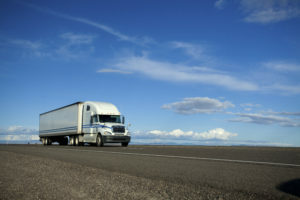 Here are some ways to help you create a healthier trucking routine. It’s no secret that trucking involves a lot of long hours on the road. With this lifestyle, it can be easy to fall into bad habits that can leave your sleep schedule, eating habits, and overall health lacking. This new year, try creating a healthier trucking routine that will leave you feeling better at the end of these long days. 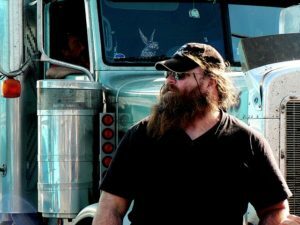 We’ve got some healthy habits that you can easily work into your trucking routine to help you improve your health and wellness this year. Use these tips to stay safe on the road during the winter season!